The installation which takes up 200 sqm is presented in a temporary structure in the garden of the Jewish Museum Berlin. Only six visitors are allowed to enter at a time and it is recommended to stay inside for 45 minutes. Entering "Aural" you feel submerged in an atmosphere of indefinite space. One needs time - to adjust the eyes, to calm the mind. In the entrée you are asked to take off your shoes, walk up a flight of stairs an enter a white surface, an endless room. Without grasping contours, the colors change softly leaving a foggy sensation. In Judaism, light plays a central role linking the beginning and end of creation. Light is the pinnacle of the first day of creation after God created earth and water. 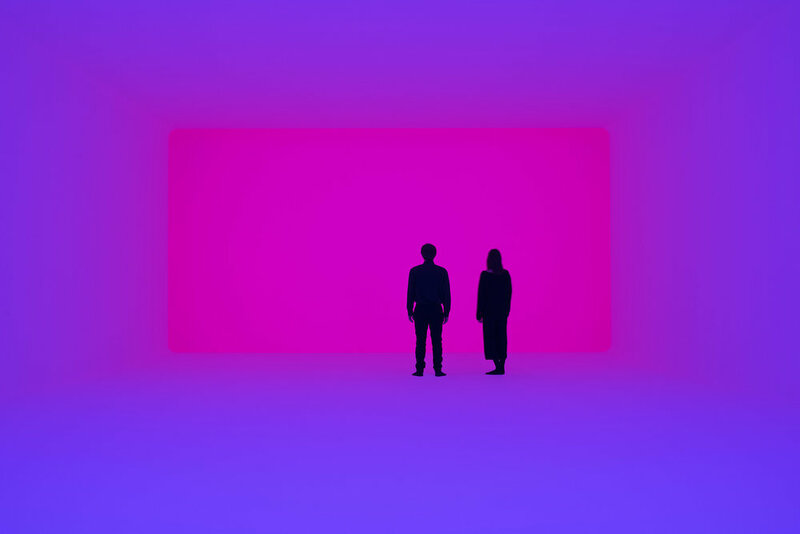 James Turrell (born 1943 in LA) is one of the key figures in contemporary art and known as a master of illusion. His art focuses on exploring how we perceive the medium of light. The works in his Ganzfeld Pieces create illusionary spaces.